It seems that when it comes to going on a camping trip, the Scout’s motto of “be prepared” is sometimes a little overlooked… Not because we don’t think it’s a good idea to be prepared, it’s just that usually in our busy schedules, we can easily skip a few of the basics. If I said to you, “How would you like to come with me on a camping trip, far away from civilisation, and get yourself a decent injury?”, you would very likely say, “no way!”(if you would actually say yes to this, I think I would need to withdraw my offer, and may even have a suitable referral for you). However, a poorly planned camping trip, in some cases, can be just as ill-advised and likely to provide unpleasant outcomes. With that in mind, let’s instead unpack some of the more common camping hazards and ideas to make your camping memorable for the right reasons. 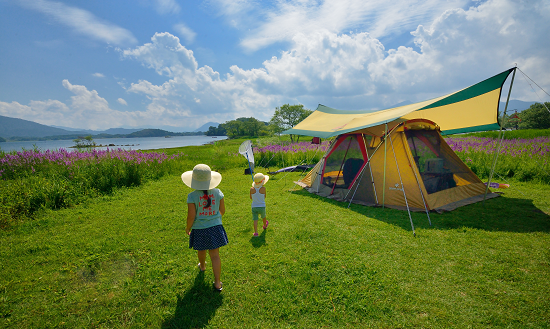 Camping has a few common hazards which are typically related to the campsite itself or to the natural environment in which the camping occurs. Being on a campsite is great for getting away from the usual way of doing things, but also exposes us to different risks. For example, cooking with a camp stove or over an open fire is quite different to cooking an electric stove top at home. The most common hazards around campsites are fire, trip hazards such as guy ropes and tent pegs. Other hazards around the campsite can involve interactions with wildlife, who can be curious or opportunistic of visitors to their domain. As wildlife hazards vary greatly from region to region, it is advisable to make yourself aware of the potential hazards for your location. In the UK, the Royal Society for the Prevention of Accidents reports that on last count, about 1500 people annually are treated in emergency departments for injuries from tripping over guy ropes or treading on tent pegs (there are those that have learned, the hard way, that pushing tent pegs in the ground with a foot can result in puncture wounds). For the issue of tripping over tent ropes, we would recommend reading about TripFree glowing tent rope tensioners, which have been specifically designed to illuminate your tent ropes throughout the night, enabling you to avoid this hazard. Some of the more infamous hazards (the stuff that makes for good movies) are typically in this category. 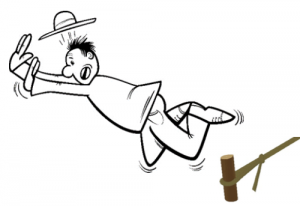 Natural causes in their true sense includes such incidents as animal attacks, avalanches and falling rocks. Rescue professionals are quick to point out that most accidents involving natural elements are less ‘natural causes’ and more poor preparation, such as being unprepared for changing weather conditions. Wyoming’s Grand Teton National Park climbing rangers, who patrol areas where natural causes are a very real risk, class true natural causes as the cause of less than one per cent of all injuries and fatalities, with the rest being preventable incidents, had proper preparations been made. Having established that good planning can make your camping a little less trippy, here’s a few tips to improve your next camping trip. In order to prepare for your camping trip, it’s important to have some idea what to expect, and what could be unexpected. Knowing what facilities are available, what the weather is or could be like, how to store food securely from the local wildlife (including insect repellent so you don’t become food), and what assistance is available if required, are all key to being able to prepare adequately. If the only camping you’ve done in the last 20 years was actually a serviced cabin in a tropical resort, going straight into a month long high altitude trek is not a great place to start. Not only does this expose you to risks you’re not ready for, but it could turn you off camping for life. Just like a marathon runner didn’t run a marathon on their first training run, likewise, being realistic about what you’re ready for will not only be safer, but also better for enjoying camping and wanting to develop your adventures as you gain the experience and equipment. 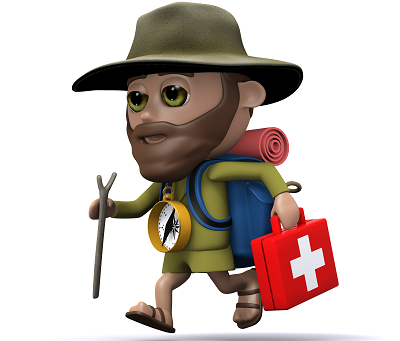 Generally, if you are embarking on a whole new type of camping experience, it’s best to either do it with someone who has the experience or in the very least, that your preparations are done with the benefit of their experience… thanks to the internet, there is essentially no excuse for being able to access the information you need. Various camping forums and groups on Facebook for instance are a great resource for everything from recommended locations, simple tips and innovations (maybe you even heard about us from one of these groups). Camping and disposals stores can also be a great resource, as most stores have a least a couple of avid campers who are keen to share insights into various gear that they’ve tested and what equipment best suits your requirements. For some of us, camping will only ever be at locations with serviced amenities or near a great beach, river or lake. There are also those for whom a camping includes hiking far off the track and preferably climbing or crossing something in between. So whether it’s glamping, trekking or anything else, camping should be in line with what you’re keen to do. That alone, will have you far more likely to take the time to understand where you’re going and invest in the right equipment to enjoy it well. 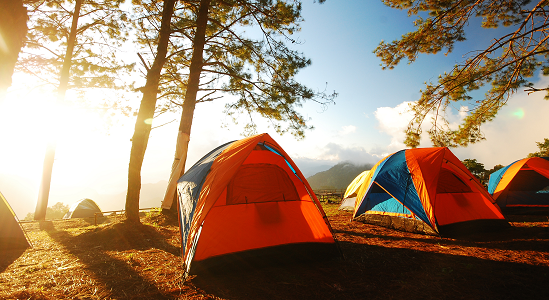 Planning your camping trip a little ahead of time, will equip you for a better time away. If you’re camping with kids, why not get them involved in checking your equipment or planning where to go. Most of all, enjoy the adventure, appreciate the outdoors and keep camping! Got some safety tips you’d like to share or think we missed an important camping hazard? Share your camping trip tips and comments below.